One of the most important supports for the electric car is a sufficient charging station density in order to avoid being stranded on the road and also that there should be enough charge cord outlets for everyone willing to charge, avoiding certain problems that are appearing in plug-in friendly areas. In the Top 5 markets with lowest ratio, there are three (Portugal, Ireland and Finland) where the reaction of consumers to plug-ins wasn't enthusiastic and sales remained below expectations, which meant that the grid, at least in Portugal and Ireland, is too big for the number of EV's rolling there. Estonia is a different case, as it is the first country with a complete EV charging network with nationwide coverage, with fast chargers available along highways at a minimum distance of between 40 to 60 km, with a higher density on urban areas. The nationwide network of fast chargers were fully financed by the Estonian government in order to get Carbon Credits. Finally, Austria is a solid case of correlation between plug-ins and charging stations market growth, with both increasing numbers at a relatively similar rate. There were some 25.100 plug-ins sold last month, representing the fourth best sales month ever for plug-ins, behind last May (26.8k), December '13 (28.7k), and the all-time record achieved this June (29.6k). 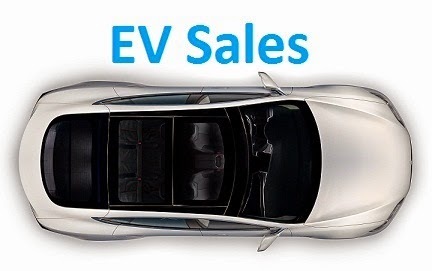 Despite some individual bad results (Tesla...), there were bright spots, with the Nissan Leaf reaching a new sales record, with 5.630 units sold, the Chevy Volt making its best sales month of the year (2.193 units), and the chinese duo, Kandi and Qin, breaking yet again their respective sales records. Looking to models ranking, we can see the Volt closing in on the #4 Prius Plug-In, while the Kandi EV seems unstoppable, climbing another position to #8 and already biting the #7 BMW i3 (Less than 100 units between them). Will we see the chinese start-up reach #6 soon? In the Manufacturers ranking, the star of the month was Ford, #4 with 2.310 units sold last month and running away with the #4 from Toyota, which, by the way, has Chevrolet (#3 in July) breathing down its neck, thanks to the discounts second life of the Gen1 Volt. In #10 there's Kandi, only 220 units behind the #9 BMW. 1 - Which model will be #4? 2 - How much positions will Kandi rise? 3 - Who will beat their record sales? 4 - Will Chevrolet surpass Toyota? 5 - Car Renault recover the #7 position? 6 - Can BMW resist Kandi attacks? Besides sales by individual brands, i've decided to see how they look if we group them according to each Automotive empire Group, to make things more interesting, there are different time lapses to see, making it easier to see who is climbing or falling in the ranking. Renault-Nissan (Or is it Nissan-Renault? ), is by far the dominant force regarding plug-ins, but the next positions are more controversial, with GM being #2 by volume, but this year it has weakened a lot (Already waiting for 2nd Gen Volt? ), with Cadillac unable to recover the damage of its lower priced sister. Mitsubishi, on the other hand, is #3 in volume, but this year is selling more than its direct competition, being a strong #2 in 2014. For every loser, there's a winner, or in this case, two. Tesla and Ford, respectively #5 and #6 until this year, are now above Toyota and GM, putting them in #3 and #4 in the 2014 ranking. Geely, or Volvo plus Kandi, is in #7, but with Kandi selling like hot cakes, who knows where they will be heading? In #8 we have Build Your Dreams, or BYD, that has been profiting on the sales rise in China to consolidate a Top 10 position among the Big Boys. Chery is a consistent #9, while in #10 we have something of a surprise, the best selling german auto group here is...Daimler, thanks to the Smart storied investment in the Electric Drive version. Now that Mercedes is starting to roll off the B-Class ED, expect these numbers to go higher, and in deed they should, because BMW and Volkswagen (VW + Porsche), #11 and #12, respectively, are pressing hard the sales accelerator (Yes, VW is only #12 in the ranking, that's how late they came to the EV scene...). With some 7.100 units sold and still without the Austria numbers, the European EV market continues in good health, having sold twice as much as last year (3.578 units in July '13). Looking at the models ranking, the Top 10 positions continue the same, with Outlander PHEV strong in #1, ahead of the #2 Nissan Leaf and the BMW i3 looking to get close of the #3 Tesla Model S, which had an off month, selling just 398 units, as it is usual in the first month of each Quarter. Below the #10 Renault Twizy, things are more interesting, with three newcomers climbing in the YTD ranking, the E-Golf (#6 in July with 456 sales) is up four positions to #11, the Nissan e-NV200 up one position to #21 and the BMW i8 up two to #23. After the half-hearted sales performances of the Miev family, Mitsu had high hopes for the PHEV version of their Outlander SUV. After a troubled start, the Outlander PHEV started to be delivered in Europe last October with a waiting list of several thousands, ending the year in #3 YTD and winning the Best-Seller title in the last two months of the year. In Japan it stayed behind the Leaf in YTD sales, but won four monthly Best Selling titles, not bad considering it only had seven complete sales months. But the real race for stardom started this year, while having battery production constraints, (That's why the US market is still to conquer), it is currently the Best Selling Plug-In Hybrid in the world and it's only behind the Nissan Leaf in the global EV ranking, and remember, all this while being absent from the largest EV market (USA). While still behind the Leaf in its home market, the Mitsu SUV is beating all sales records in Europe, with some 11.000 sales this year and several #1's across the world: Best Selling EV in Holland, Sweden, Finland and New Zealand and Best Selling PHEV in: Japan, Norway, UK, Spain and Ireland, all this while pushing EV and PHEV sales to unheard levels in many of those countries. We welcome the UK market in this club, as it has become the eighth market above 1.000/ units/month, joining the other 7 (USA, China, Japan, Netherlands, France, Norway and Germany) which, coincidentally, all were above 1.000 units in July, a remarkable performance by all of them. Besides the hyper-growing China (0,22% EV share, almost three times more than the 0,08% of last year), there are also other markets growing significantly, besides the special case of Norway (14% share vs 6% last year), in Germany, plug-ins finally started to gain traction (0,38% vs 0,23% in 2013) while the British EV market jumped from 0,16% last year to the current 0,33%, with even more growth in perspective, thanks to the recent landing of Tesla and the Outlander PHEV. But there are still dark spots, France is still in the red, the EV Share is recovering (0,71%) but it is still below the 0,80% of last year. Also of importance, the French EV market (8.000 units this year) is no more the largest in Europe, with Norway (12.000) and the Netherlands (10.500) now above it, and this last one also winning the title of Market With the Most EV's (40.000 vs 39.500 in France). Spain had its best month of the year (168 units), so there is still hope for EV's there, while Ireland is continuing to impress (0,21% EV share vs 0,08% last year) and Estonia is looking to recover the Little Norway nickname it had in 2012...For now the EV share there is at 1,15% and now it has to compete with Iceland (2% EV Share!) for that name. 1 - Will the Outlander PHEV continue to impress and add more titles to its collection? 2 - Who will be #1 in Italy? And in Austria? 3 - Will e-Golf start to go beyond Norway in its quest for #1's? Many didn't see this coming, but the arrival of the Outlander PHEV to New Zealand kickstarted for real the Kiwi EV market, selling 129 units to date, which means that the japanese e-SUV sells more in one month than the rest of the competition sold in years! 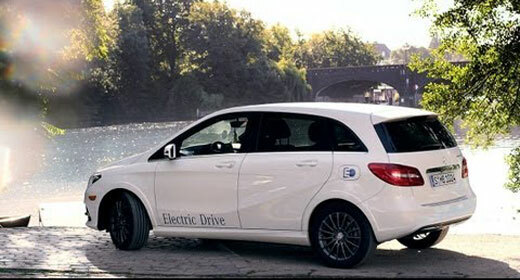 Even the other two contenders benefited from Mitsu success and hype, both selling now way more than in past years, with all this unexpected sales level (158 to date), the EV Share jumped to 0,22%, eons above last year 0,007% and above the score of neighboring Australia (0,02% share in '14), which registered 114 plug-ins (79 Leaf and 35 Volt) until June, despite having a global market several times larger than NZ. . .
Will the Outlander PHEV do the same stunt in Australia? Or will that role go to the upcoming arrivals of Tesla and BMW? Thanks to this board, courtesy of David from MIA organization, we can see the sales of different types of hybrids and electric cars, and a curious number here is that the arrival of the Outlander PHEV coincided with the sinking of the Toyota Prius V and Peugeot 3008 Hybrid 4 sales, both of which can be considered as rivals of the Mitsubishi SUV, so one can say that Plug-in Hybrids will be the next stage of success for regular hybrids (Wink, wink, Toyota and Honda).